Found the perfect match for the cold days! A statement necklace kind of day. Had one of the best nights of my life on Friday night! Cheers to the many more that will follow! I sure as hell need some holidays… Daydreaming of a Greek island. Which one should i visit this time? Tiled walls and a new way to wear your cropped sport top with a denim shirt underneath! The best way to start your day! Pancakes, honey and cinnamon! This weekend was a bliss! I am grateful for all the partying and clubbing opportunities I was given. Thanks mates (yes you I know that you are reading this). 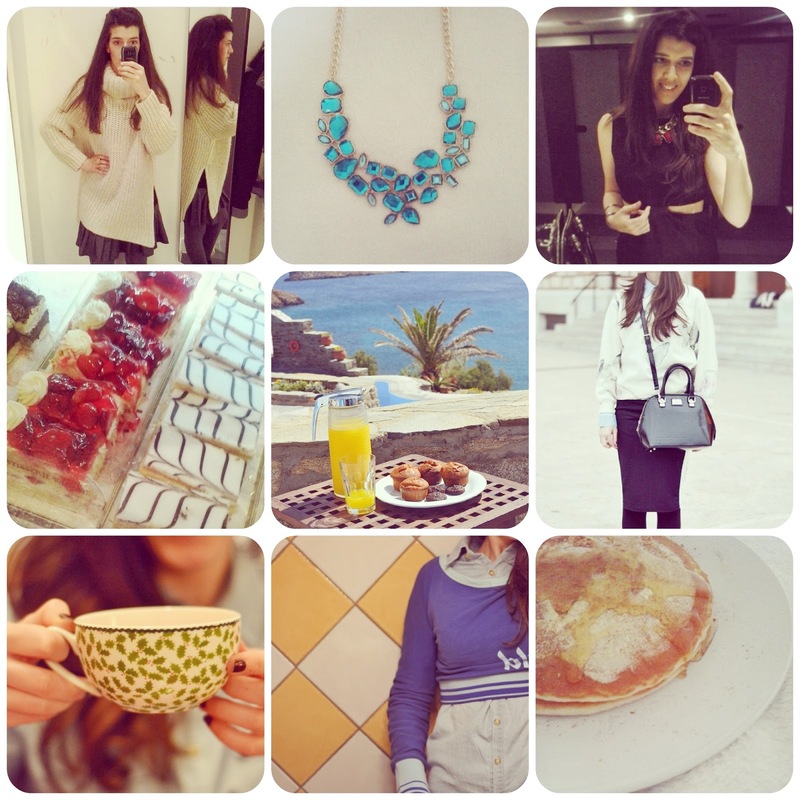 You can find more of my adventures as well as personal style outfit posts on Instagram here. You can also find me as @natbeesfashion.